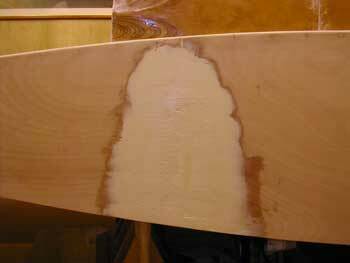 This first fill is to establish the high points which once sanded to the correct hull profile will allow the remaining area to be filled easily. In order to sand these to the hull shape I made a long sanding strip with handles at each end. Getting the stiffness right is a little tricky, too much and it will struggle to follow the correct profile and too little and you hardly remove any material. Once this area is faired through, the next job is sheathing the hull. A project I promised myself I would have done by Christmas. Well I haven't. 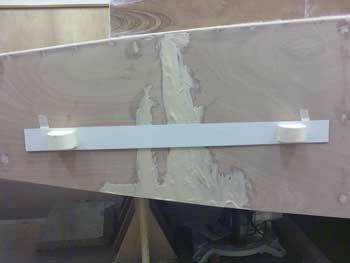 But I have taken delivery of the glass cloth, 124g per m2 this time, rather then the 200g per m2 that I used on the keel. So hopefully, it will wet out much more easily. December rounded out with a holiday, a Nile cruise on the ss Misr; Luxor, Aswan then back to Luxor. Lot's of temples, tombs and a pleasant 25 degrees ambient. 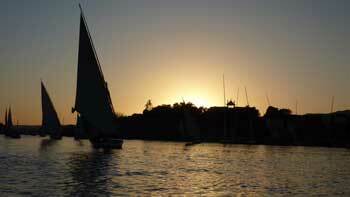 Here's a shot taken at Aswan as the sun sets on the Feluccas sailing around Elephantine Island. 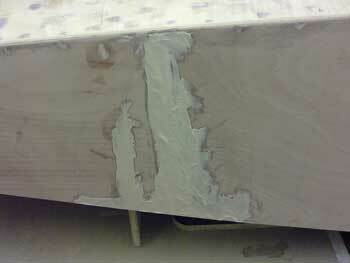 However, before I left the UK I filled the hull side area to ensure it was fully cured by the time I returned.